Bankruptcy has a reputation as one of the “uncomfortable” subjects that people don’t often discuss, and it is perhaps for this reason that there is a lot of false information out there. Add the stress of dealing with aggressive creditors and unpaid bills and it is no surprise that many people in debt suffer in silence rather than getting help. Bankruptcy shouldn’t be an uncomfortable topic because it can help many people in need of debt relief. So, what is bankruptcy? Bankruptcy is a formal debt relief solution that our government has put into place to help honest people in financial distress get a much-needed fresh start. 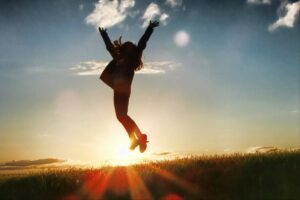 The fresh start that a bankruptcy provides can positively change the lives of people who have suffered from a variety of hardships including sudden job loss, marital breakdown, unforeseen or prolonged illness, business failure or even credit mismanagement. Financial distress creates depression, anxiety and frustration which can negatively impact your career, relationships with loved ones and even your health. When a bankruptcy is filed, an automatic legal stay of proceedings is in place to stop unwanted creditor calls, legal actions, wage garnishments and to protect your assets. Bankruptcy is meant to be rehabilitative and to allow you to get a fresh start. Filing will have an immediate impact on your life and it is not uncommon for people to feel as if a burden has been lifted off their shoulders. The collection calls stop, interest charges stop, and your debts stop piling up. Bankruptcy in Canada is a legal process that allows an individual to eliminate their debts and get a fresh start. Bankruptcy laws are set by the Federal government and legislated under the Bankruptcy and Insolvency Act. Bankruptcy is put into practice by Licensed Insolvency Trustees, the Court and other members of the legal system. The Office of the Superintendent of Bankruptcy is the governing body and court matters are heard by an appointed Registrar in Bankruptcy. Licensed Insolvency Trustees are the only people licensed by the Office of the Superintendent of Bankruptcy to administer bankruptcies and consumer proposals. 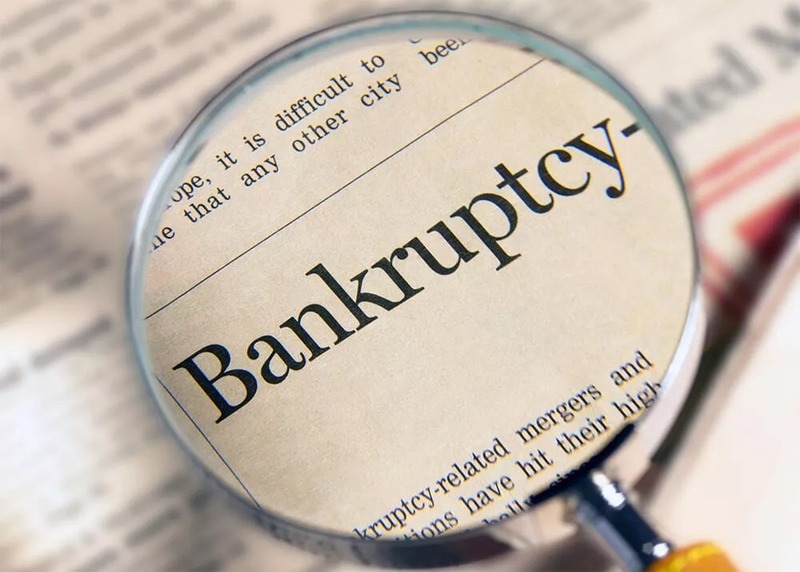 As a result, you can only file for personal bankruptcy with the assistance of a Licensed Insolvency Trustee like Chande & Company Inc. Credit counsellors cannot file a bankruptcy for you. The act of signing your bankruptcy paperwork is not what eliminates your debts, it is the discharge from the bankruptcy process at the end that releases you from debts. Who can file for personal bankruptcy? You must owe a minimum of $1,000 in unsecured debt(s).You must be insolvent (this is a fancy way of saying that you owe more than you own). Some debts are not dischargeable in a bankruptcy. A couple of examples are: overpayments of government benefits and government guaranteed student loans where the person has been out of school for less than 7 years. Bankruptcy can last from as little as 9 months to as long as 36 months. The more that you earn, the more that you will pay in your bankruptcy. This is the concept of surplus income and is explained below. If you are required to make surplus income payments, your bankruptcy will be extended for an additional 12-months. If you have an incomplete prior bankruptcy you will not be able to file again until you resolve the issues from your previous bankruptcy. Bankruptcy begins with signing documents and ends with the issuance of your discharge from the process. You will first meet with a Licensed Insolvency Trustee to determine if bankruptcy is the right debt relief solution for you. If bankruptcy is the right option for you, you will meet with your trustee in person to sign documents that will be forwarded to your creditors to notify them of your bankruptcy. Make regular payments to your bankrupt estate. Bankruptcy costs vary from person to person, however, there will be a minimum monthly payment agreed upon at the beginning. Report your income and expenses each month to the trustee. The trustee will use these reports to determine your surplus income payment obligations (if any). Attend 2 financial counselling sessions provided by the trustee. The sessions cover topics such as the causes of your debt problems, budgeting techniques, how to rebuild your credit and any other topics related to your personal situation. Provide the trustee with the information needed to file your income tax return in the year of your bankruptcy. Keep the trustee informed of your contact information at all time (your address and telephone number). One of the more complicated areas of bankruptcy is the concept of surplus income. While you are bankrupt your monthly income will be compared with a national average that the government has based on family size and information collected from Statistics Canada. Surplus income is what we call any income you earn beyond the threshold amount for your family size. Surplus income has a direct impact on how much a bankruptcy will “cost” you and how long your bankruptcy will last (9, 21, 24 or 36 months as outlined below). The Trustee will determine your monthly surplus income payment obligation based on the monthly reporting of your earnings and any of your expenses that are deemed “non-discretionary” (for example, child support, medication or day care costs) which can be offset against your income according to the bankruptcy act. In addition to completing your bankruptcy duties and supplying information about your affairs with your notice of bankruptcy, your creditors will also receive a document from your Trustee that forecasts how long you are expected to be in bankruptcy. The forecast your Trustee will make is based upon your history (was there a prior bankruptcy) and whether or not you will have to make surplus income payments. 9 months if no prior bankruptcy or surplus income. 21 months if no prior bankruptcy but are required to make surplus income payments. 24 months if you have a prior bankruptcy but no surplus income. 36 months if you have a prior bankruptcy and are require to make surplus income payments. There is no sugar coating it: filing for bankruptcy will have a negative impact on your credit report. If you file for bankruptcy, a note will appear on your credit report indicating that you have filed a bankruptcy. Equifax will report a rating of an R9 which is their lowest ranking. The bankruptcy note will remain on your credit report for 6 years after your discharge. As a result, if you are in a 9-month bankruptcy, your bankruptcy note will appear for just under 7 years. However, not filing for bankruptcy and allowing your debts to go into collections, always being paid late (or not being paid at all) also has a negative impact on your credit report. The last step in your bankruptcy is the discharge and it is the discharge that eliminates your obligation to repay your debts. Most of the bankruptcies that we file, on behalf of bankrupts, receive an automatic discharge and there is no reason to attend court for a discharge hearing. Below is a description of each type of discharge. Is issued by the trustee to a person who has completed all of their duties (on time) and there are no outstanding issues or oppositions from their creditors. There is no need to attend court for a discharge hearing. The court imposes certain conditions that must be met/completed before your discharge becomes absolute (see above). Some common examples of conditions are: completing outstanding counselling session(s), paying outstanding surplus income payments and providing the trustee with the documents required to file your income tax returns. The discharge is suspended to a future date set by the court. It is commonly issued when there is a prior insolvency filing (a bankruptcy or a proposal) or there has been a serious misconduct issue either prior to or during the bankruptcy. Occurs under rare circumstances when the court refuses to grant a discharge. This will occur when the court feels the misconduct of the bankrupt is severe or involves criminal activity/fraud. If you have more debt than you can handle and there is little to no chance of being able to repay your debts, filing for bankruptcy may be your best debt relief solution. It will provide immediate protection from your creditors and allow you to obtain a fresh start. Want to know if bankruptcy is right for you? Complete the form below and we will contact you and book a free no-obligation consultation. You can be on your way to being debt free. In our next article we will discuss consumer proposals in more detail.